Suffern High School Senior Garrett Nicholson wanted to make a contribution to the memory of America’s men and women in uniform. 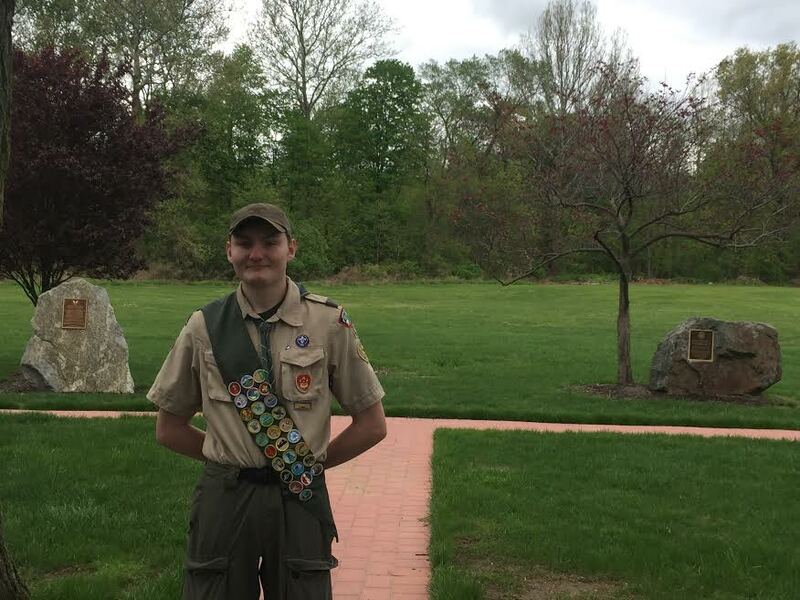 For his Eagle Scout project, the Troop 2146 member built a paved walkway in the Valley of Heroes at the Village of Sloatsburg Community Fields. The “Heroes Walk” leads to two monuments honoring World War II veterans from the community.